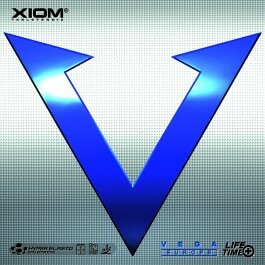 Xiom Vega Europe is the softer brother of Vega Pro. This is one of the most solid examples of a do it all rubber. It features among the best power to control ratios. This means that it's a rubber that is capable of high power while still maintaining far more control than most other rubbers with this speed. A true member of the Vega family with durability to last. I have been purchasing Vega Europe rubber constantly because of its two distinctive characters: 1. it is capable of generating abundant spin if you brush the ball skillfully. 2. The rubber has the right combination of softness and firmness, which literally transfers into longer dwell time, but not lack of any power. It goes well with quality wood blade or carbon blade. For advanced player, it is a nice candidate for BH controlled shot; for intermediate level player, it is a pretty robust rubber for FH looping. The price and durability also stand out comparing with other popular rubbers in the same Spin and Speed category. Great spin and control, it is light and mid soft, good for Bh and FH too. We have been to order many times on this brand name, we love the quality. We tried order from tabletennis11 this time, they have excellent service, and it just took 3 days from Europe shipped to Los Angeles. Will order from them again! Great spin and average speed. I use this for my BH, I love to make topspins with it, nice sound. After a 20+yr break from Table Tennis (I played a good 20 yrs before that) I was given a chance to hit with a few racquets that had Xiom Europe rubber. It felt like old home... I bought a used racquet with same rubber and after 1.5 yrs playing I thought I'd try some new sheets. So I went Max and it still feels very comfortable playing this rubber. Also I'm giving the Vega Pro a chance on the other side. Early comparison it's hard to tell which I prefer. I mostly use it for practicing so I haven't used it for serving yet, but overall the rubber has all the characteristics that I looked for yrs ago. Maybe I've been away too long, but I didn't understand any of the descriptions of how the new rubbers effect the ball !! Vega Europe is an outstanding rubber, fits perfectly my style. Lots of control without losing spin and speed. But the best thing was tabletennis11 service, always precise and reliable. A medium sponge, with good control, not very speedy. Good spin, also. Easy to play with. Very good rubber. Spin, control and speed is very good. Light and sounds okay. I really love it. It could be used for FH or BH. I used it on Lolite Neo and Donic Waldner Carbon Legend. Amazing rubber ! Control : 9/10, Spin 9/10, Speed 8/10 ; I have tested this rubber , fronthand and backhand on a Donic Epox top speed and it is really difficult to miss one point ! Better than Donic Vario Big Slam, and a cheap price ! Thank you table tennis ! When I initially use Xiom Vega Europe everyone that I have been regularly played were very impressed how I’ve come along way. They’ve noticed that I have more ball control and spinning ball. Everyone was curious what kind of rubber I have. Some seasoned player were saying that they would replace their next rubber will be Xiom Vega EU. Почти омега серия, но топшит похуже, менее долговечен. At my level, it has the right combination of speed, control and spin. A slight bit slower than Vega Asia, which is also very good. Too soft for new poly ball. Good quality but need hard & fast blade to keep the ball over the net. I bought this rubber for my club mate. His feed back is nice rubber for BH. Atualmente uso ela no back. Bom giro e velocidade. Parabéns TB11 pelo preço justo e qualidade nos produtos. I use it on my back hand. I like it very much. Feels good and working well as my backhand rubber. Donic JP 03 was too bouncy for me on pushes and topspin loops were going off the table. This "traditional": BH rubber has given me more control on both stokes even if I've sacrificed some speed. Getting the ball on the table has enabled me to win more games. I'll take that. This is the perfect rubber for my level of play. Speed, spin and control in a phantastic combination. TatleTennis 11 service was very good too. Great rubber withe good spin and control. It does well for both offensive and defensive play. Product was as advertised and was in perfect shape. The amazing thing was there delivery time. Being half way around the world, I placed the order on Tuesday and received it Friday of the same week. Another rubber from Xiom that does everything great. It has been in the market for quite a bit of time now but always recieving enhancing technologies that makes this rubber still one of the best out there, specially for those looking for more control with a safe arc over the net. A must try for beginners and intermediate players looking for regularity. новые выпуски ВЕГИ европы стали на 4-5 грамм легче, в обрезанном виде , той резины, которая выпускалась в 2013 г, отсюда потеря скорости , вращения и контроля, остался лишь звук. Все дело в более пористой губке. Раньше резина была просто великолепной , но и сейчас играть можно только надо брать не слишком жесткие основания. Até o momento gostando muito ! Na minha opinião excelente para o Back ! This rubber is really good for blocking and has a good amount of spin. I use this rubber on my BH and my backhand hits immediately became faster and each hit was more accurate. Thanks to tt11 for the fast shipping and excellent service. I ordered a 1.8 mm because I am still developing my strokes and I don't wanted to it to be very fast but on off rated blade ( WL Ultima) it is quite fast. Control is good and sound is sweet. But in short games push bounces too much otherwise this is an excellent rubber. Quite spinny and fast. Create heavy topspin with proper stroke and normal top spin can just be produced by swrist movement only. For chop you have to adjust angle as the ball bounces.. big window effect is very helpfull. Rubber is decent. But it doesn't have the amount of grip as I expected. When playing the rubber feels thin and easy to hit through. I have use this rubber for back hand. Very good spin and speed. Reasonable price. I ordered to BH in the thickness of 2.0. I am a fan, like myself softer rubber. Rubber tenacious, good rotation, and control. The rate is linear, as has invested and will fly. Problem is I do not test. Everything is okay. 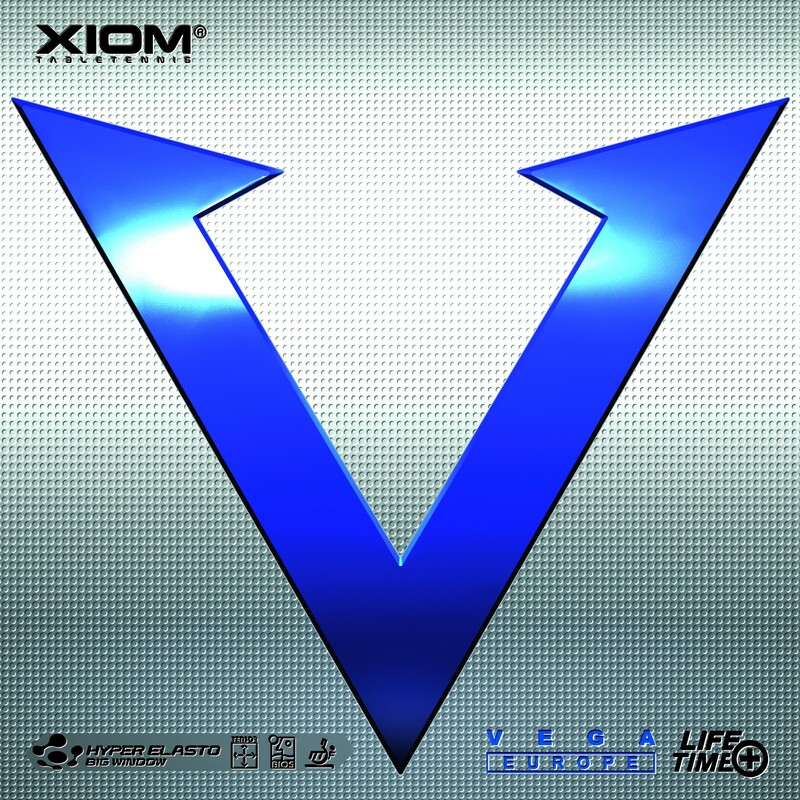 Blade Xiom Diva. Could be god for many people, but too soft for me! Has good spin and control, but bottoms out on FN and BH... I give it away to a player from lower grade and he is very happy with it! .Играю 3-4 раза в неделю.Через полтора года интенсивного использования заказал такой же комплект. This rubber changed considerably after 30 hours of playing, very sensitive to humidity too. This is one of my favourite rubbers, it can be used with max thickness for speedy FH loops or with 2.0 mm for well placed BH blocks and control. Price and quality are great. The rubber lasted only 2 months, playing 1-2 hours per day. Good control and spin, weak for speed. I bought this rubber second time. I really satisfied with it. Great spin, control, not very fast - for me perfect rubber. By far the best light weight rubber that I've tried. Great amount of spring, spin generation and control. Not as fast as the heavier rubbers (Rakza, Tenergy etc) but it's a perfect middle ground between speed, spin and control. Soft, tacky rubber with great control. Good for its price. Если вы любитель мягких накладок, она вас не разочарует, хорошая накладка. The price-value equation for Vega Europe is one of the best out there. Good tensor rubber at a $30-35 USD price, or even better now with the change in exchange rates. I use it on the BH, so does another son, and the other son uses it both on BH and FH. Классные накладки, хорошая скорость, хорошоeе вращение. После веги-про и азии нужна небольшая адаптация к мягкости, а затем накладка становится частью вашей руки, воплощая в действие самые шальные желания. Спасибо TT11 за хорошую и быструю работу. Muito efeito em bh, aconselho Max. Все прямо как в предложенном на сайте описании характеристик, но еще есть выраженный sound-эффект, что приятно удивило. Awsome rubber , Excellent allround rubber . Tabletennis11 service is super , fast and cheap . This is my shop to order table equipment . Amazing rubber for both forehand and backhand, exceptional at looping and for the price it's one of the best rubbers you can get. I find that Xiom Vega Europe with 2mm sponge gives me the feel and control to cope with most styles of opposing play. I can be aggressive with top spin yet also apply heavy back spin on serves. Very spinny, good enough speed(on Galaxy 2093). Borracha rápida com toque suave, a Xiom Vega Europa tem muito controle na devolução da bola quando se faz o Block, em resumo aconselho o uso desta borracha para jogadores que gostem de jogar em velocidade e rotação, mas que tem sempre um controle permanente da bola. Excelente Caucho con la combinacion completa de Velocidad y Control, en la parte de Efecto muy bueno pero prefiero el Vega Japon..
Muy buena goma. La uso en el revés. Un poco mas lenta de lo descripto. buena para bloquear de reves. Great control and spiny enough. Para bh é excelente, muito efeito e controle. Buena goma, no tan rápida como lo describen!!! Muy buena goma. la uso en el BH. Controlable pero veloz y con mucho efecto. buena para bloquear y Topear. La recomiendo. Это мягкая накладка с хорошим контролем при отличной скорости и вращении. Sa Xiom Ignoto Bh nikad bolji!